"Magical, clean , spacious, kind and thoughtful staff ." Have a question for Alam Terrace Cottages? "Clean and new and spacious." "Rooms are super big amd nice." 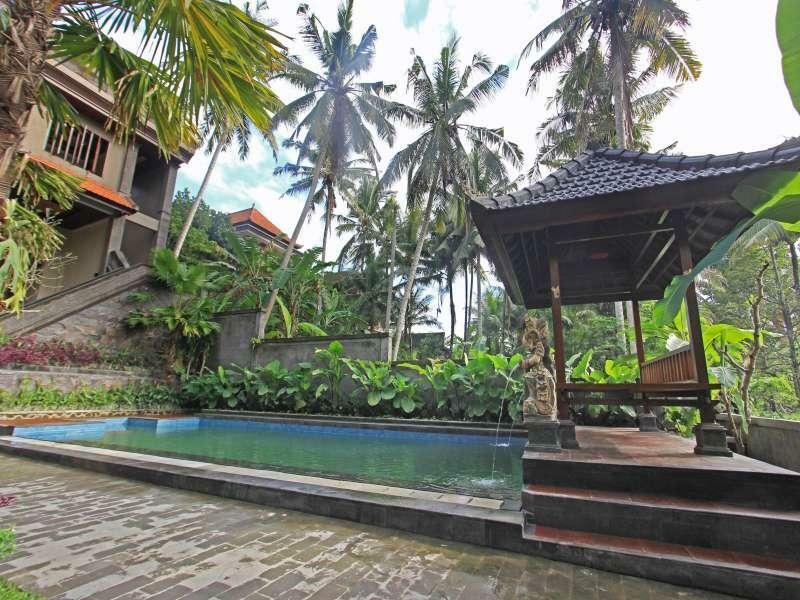 "Good place for staying in Ubud, really good location, the st..."
If what you're looking for is a conveniently located hotel in Bali, look no further than Alam Terrace Cottages. The city center is merely 38.1 km away and the airport can be reached within 48 minutes. With its convenient location, the hotel offers easy access to the city's must-see destinations. 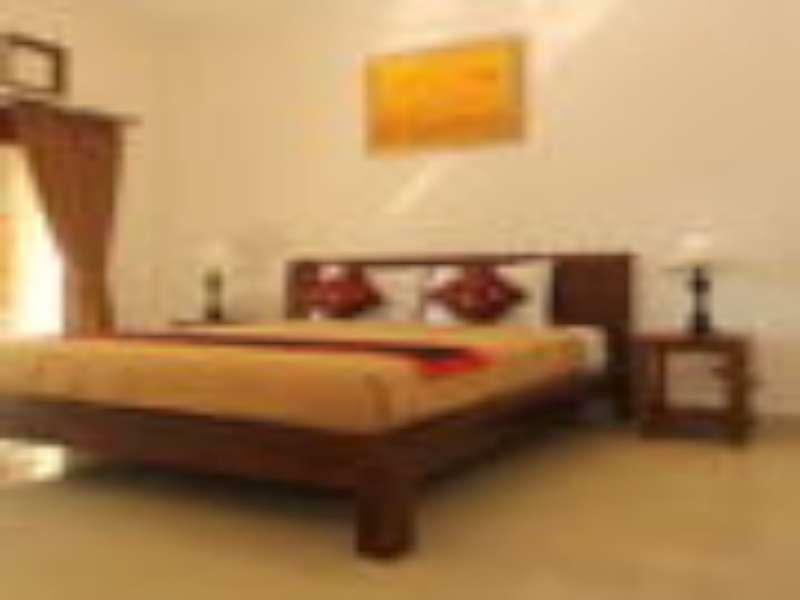 At Alam Terrace Cottages, the excellent service and superior facilities make for an unforgettable stay. For the comfort and convenience of guests, the hotel offers 24-hour room service, free Wi-Fi in all rooms, 24-hour front desk, express check-in/check-out, luggage storage. 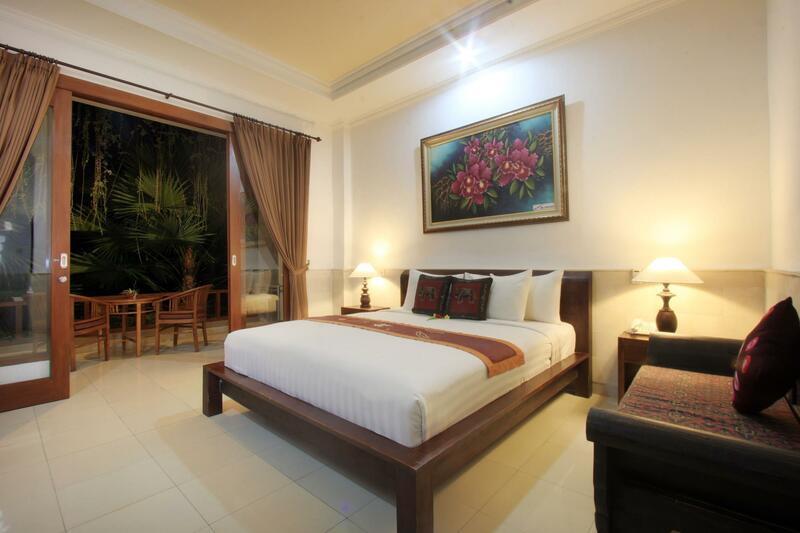 Guests can choose from 13 rooms, all of which exude an atmosphere of total peace and harmony. The hotel's recreational facilities, which include outdoor pool, massage, garden are designed for escape and relaxation. 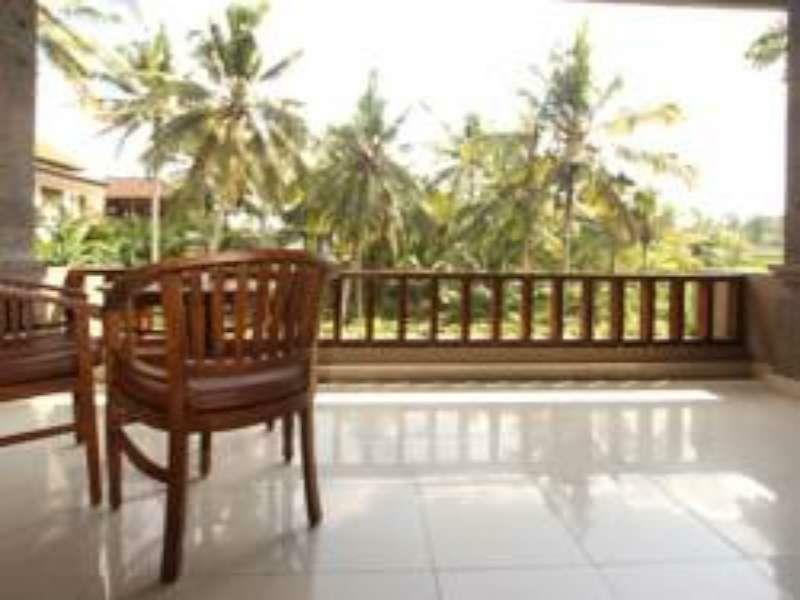 Discover an engaging blend of professional service and a wide array of features at Alam Terrace Cottages. "The hotel environment is very good with a swimming pool in t..."
Really amazing place! Will definitely go back to this cottage when I go to Ubud again. My family love it so much! Nice cool pool. Fine breakfast. Good personnal. this hotel was such a surprise !! one street away from main road in ubud, quiet at night beautiful the inside with these room/apartment that looks like nest and the swimming pool at the bottom creating this wonderful perception ! the only downside " might be " for those without a scooter ( which i rented in ubud) or a car cause even if location is in downtown to go from there to main road there is a little bit of walking BUT that said the hotel at that price was like a gift !! !staff extremely nice and helpful ! We had a lovely and serene 3 nights here. The room was large enough for us and had everything we needed. We loved the balcony and the pool. The breakfast was nice. The staff were lovely. We caught the Kura Kura bus from Kuta to the Museum and it was about a 10 minute walk to the hotel - it was easy to find. It was a lovely walk from the hotel into the main township either back past the museum or down past monkey forest and we felt very safe coming back late at night - we just used the light on our phones when we walked down the path to the hotel. Would definitely stay here again. We booked a family room (2 adults, 2 kids) for 4 days in this hotel. When we arrived, the reception told us we'll have to split into 2 smaller rooms for our last day. With our young kids, it is not easy to split right now so we asked to cancel the last day: not possible... Basically nothing was possible. At the end we ended up with a small room with 2 dirty matresses on the floor but I had to request it many times... It seemed like ver complex. So in this small room, we drank one water bottle from the fridge, and they requested us to pay for it even though we paid for a much bigger room and didn't get any compensation! not even a juice for my kids... The problem is not the 5.000 that I paid but the total lack of understanding. It seems we were not the only one to move in this hotel so I wouldn't be surprised if they surbook their most expensive rooms and claim there is an issue with pagoda. I booked several times with agoda, never had an issue before. Its our 1 night stop on the way back to KL from our 5 days trip to Nusa Penida and this place couldn't be a better retreat for us! The very spacious room & bathroom (ours with the bathtub), the big balcony overlooking the green where we had our breakfast - to die for! The ever so helpful staff on duty - thank you soo much! We definitely looking forward to stay here again. A quiet, unusual hotel in a side street. Quiet calm and clean. Service very helpful. Everything can be arranged from the reception: rent a scooter, trips, transfers. Close to the center. 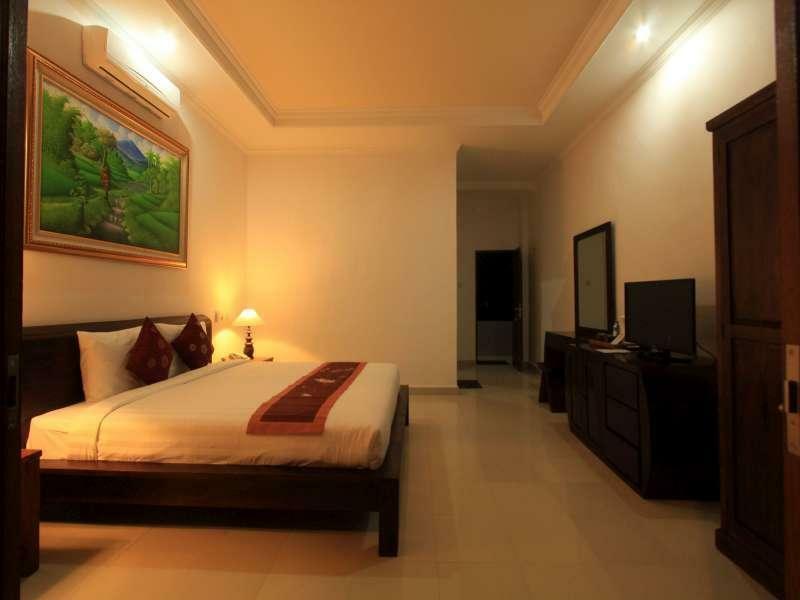 An ideal base for exploring Ubud and the surrounding area. This is a tranquil boutique hotel in a great street but unfortunately the walls are paper thin and if you are staying and unlucky with other guests that are inconsiderate then your sleep may be distributed. We stayed 2 nights and didn’t get much sleep at all due to other rude, loud and drunk guests. On the up side... Breakfast was nice. Beautiful view. Clean rooms. Cold AC. Quiet Lots of restaurants very near by. Pro : If you are looking for a accommodation that will constantly remind you that you are in Bali, Alam Terrace Cottage will be it. It is beautifully designed, and well managed. The staffs are all very helpful and polite. There are many eateries and convenient store right outside the resort. Con : Alam Terrace is located in Bisma, it is quite a walk from the main streets of Ubud, and the roads right outside the resort are in terrible condition. I hate to walk in them at night. Other than location, I have no complains about ATC. If I ever come back to Ubud I will stay here again, hopefully the road's conditions would have improved by then. Me with my wife stayed there for 2 nights (8th - 10th January 2019). Need to walk 2 minutes to reach the hotel from car parking area. The reception staffs were too nice to us. They helped us with luggage as we were staying in 2nd floor. To reach there 1st we need to climb down from the reception and then again climb up to the room. Room was too spacious, bed was well decorated and clean. Lighting was perfect not that bright...not too dark.. With two table lamps.. They immediately welcomed us with two fresh watermelon juice.. Bathroom was clean. But there was no slipper for bathroom... And there was rock decorated on the shower bed to stand and shower which is not very comfortable. Bathtub was clean and enough spacious.. Large balcony, almost half of the size of the room... They also helped us with our luggage during checkout. Adapter needed to bring for the electrical plug. 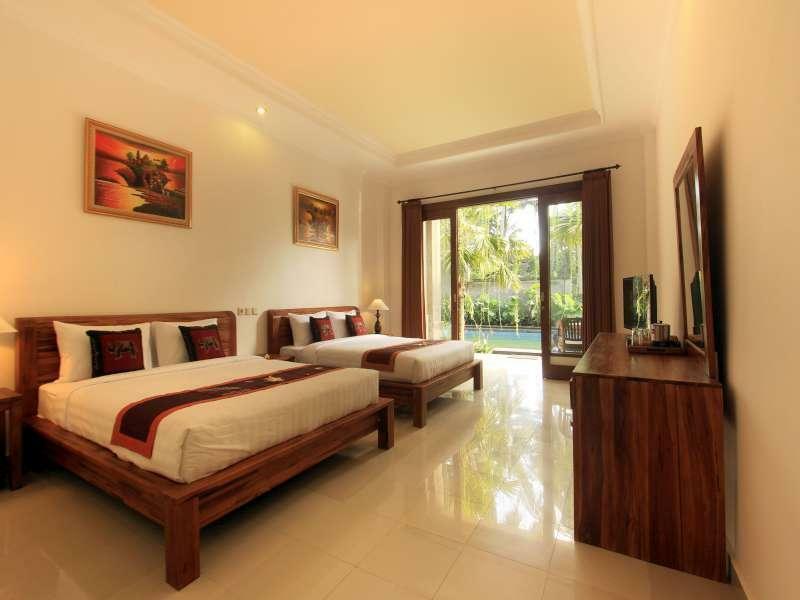 Location was very nice and walking distance to many spa shops, restaurants, and ubud Palace and ubud Market. We loved our stay there and we will surely recommend anyone to stay there. Magical, clean , spacious, kind and thoughtful staff .... many stairs so not so good with walking disabilities . I would certainly stay there again! We stayed there for a night. They have big room with a balcony. I asked to provide water, but they didn't provide water with superior double rooms. Which is disappointing. This hotel is located at Ubud but a bit inside to walk from main road to hotel.. rooms are spacious but maintenance needed! Room are slightly dark..
We've been travelling through south east asia for several months now, and felt this was probably the best place we've stayed. The hotel is down a small path away from the main road, and had a very chilled vibe and no traffic noise whatsoever. The staff were all extremely helpful and friendly. The cleaning service was a fine tuned machine, where while you were at breakfast, you'd return to a freshly cleaned room (including mopped floors). On our departure date, we needed to leave at 7am. The staff even offered to open the kitchen early so we could have breakfast (although we declined, we thought the offer was great!). Overall, couldn't have been happier. You're also a short walk into the centre of Ubud, so there's basically no sacrifices being made! Good place for staying in Ubud, really good location, the staff friendly and the hotel amazing! I totally recomend it!